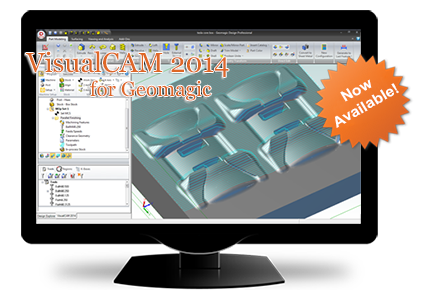 VisualCAM 2014 for Geomagic (previously called Alibre CAM) is now available for download! If you’re currently on active maintenance, you may download this new 2014 version by visiting our customer download page. For those not on active maintenance, you may try the new version by downloading a demo here.